wikiHow is a collaborative effort to create the world's most helpful how-to guides. Like Wikipedia, wikiHow is a wiki, in that anyone can write or edit a page on the site. ifixit.com makes it easy for you to fix things yourself with online step-by-step repair guides, troubleshooting tips, and a thriving community of repair technicians who want to help. 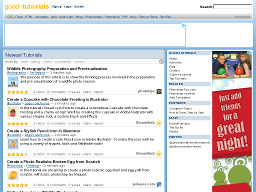 Webmasters is a question and answer site for professional and enthusiast webmasters. It's part of the Stack Exchange network of Q&A sites which focus on getting high quality answers. Khan Academy is a free educational site. It has a library of over 3,800 videos available on everything from arithmetic, physics, finance, history; and hundreds of skills to practice at your own pace. Provides instant stats and class performance summary. ChemReference is a Periodic Table and Chemistry Reference site. You can find elements (search by symbol and name), look up their properties, get orbital filling and visual look of an element (electron shell), etc. Bing Webmaster Center blog provides up-to-date posts and comments from the Bing community. Find articles on crawl error alerts, SEO help, SOAP/POX protocol, new app reviews, announcements and events, etc. Ozzu Webmaster Forum Provides all types of information and resources that a professional webmaster, designer, programmer, developer, or web artist can use. Over 450,000 posts from 36,200+ members. 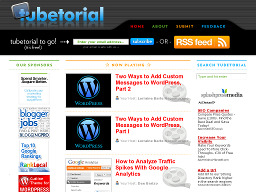 Tubetorial.com Provides step-by-step video tutorials on tech and multi-media topics in a quick and easy serial format. 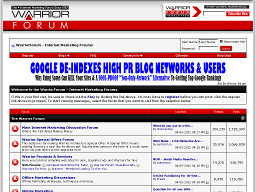 Warriorforums.com One of the Web's most popular forum discussion sites. Topics covered include internet marketing, ebook selling business. Post or find information on offers, services, and products. Good-Tutorials.com The largest Photoshop tutorial resource on the web today with more than 6,900 individual tutorials. 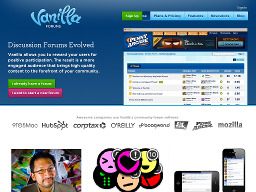 VanillaForums.com A simple discussion forum you can use to build community around your website, brand, or business. Create a fully functional forum with themes, categories and plugins. Provides total control over your forum appearance so it meshes with the look and feel of your site. PhotoShopLab.com A photoshop tutorials, tips, news, blog and resources site. Good site for photoshop novices and professionals. 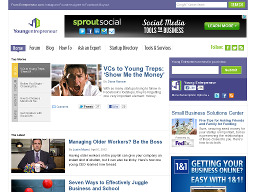 Young Entrepreneur One of the largest online forum communities for entrepreneurs worldwide. The site includes how-to guides, business tools (creating a business plan, domain registration & hosting), a job board, legal services, etc.